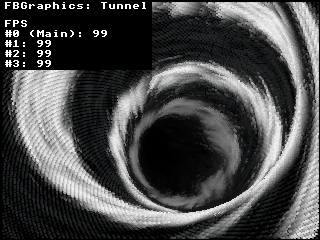 i am sharing a lightweight graphics library which use the Linux framebuffer (non-accelerated), it has full multi-core support (which was the main goal), it is mainly tested and developed on the Raspberry PI 3B. 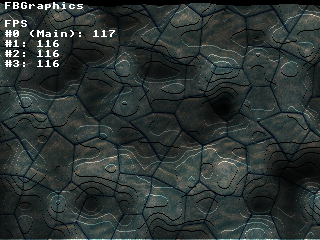 This example feature an unoptimized fullscreen per pixels perlin noise with texture mapping and scrolling. Last edited by Fragment on Wed Jun 27, 2018 12:48 am, edited 1 time in total. Amazing work, do you think it could be used to make graphics for videogames? Sure, it can be used to make anything related to graphics. However this library is very bare-metal (not specialized for video games) and graphics are not accelerated by the PI GPU, as such there might be better alternative for video games on the PI. Oh ok. Could I make an animated graphic boot screen for raspbian? Implement some of the primitives using NEON and I think it would be pretty good for games! Nice work! Sprites would be a good addition if not there already.